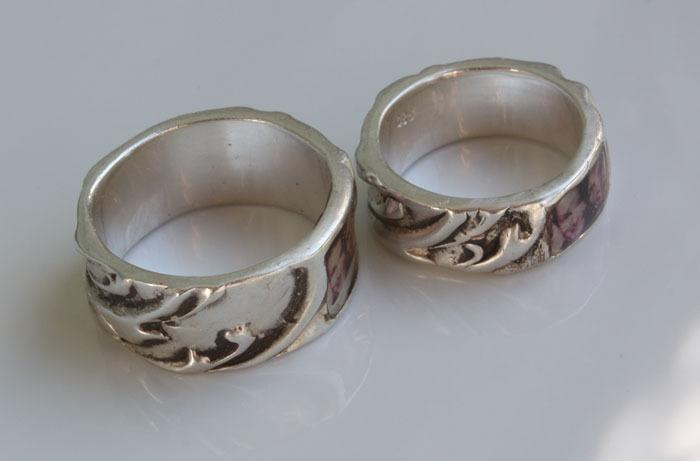 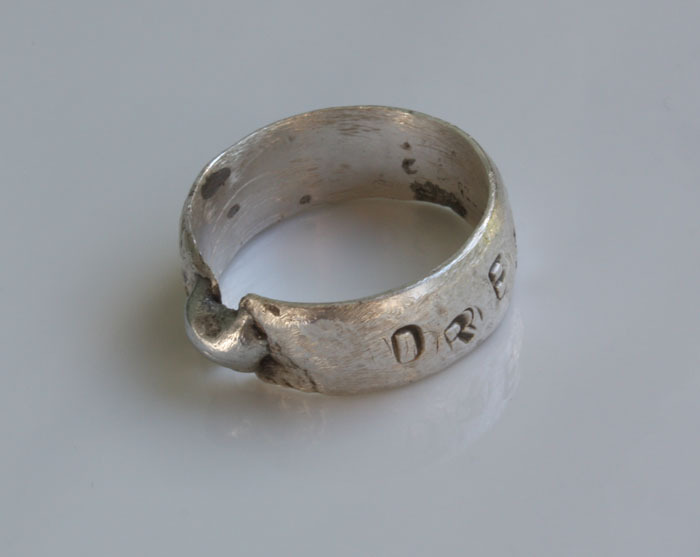 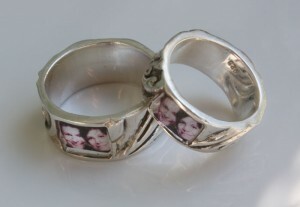 These rings are wedding bands, made of sterling oxidized silver, with a transparency of the couple set in epoxy resin. 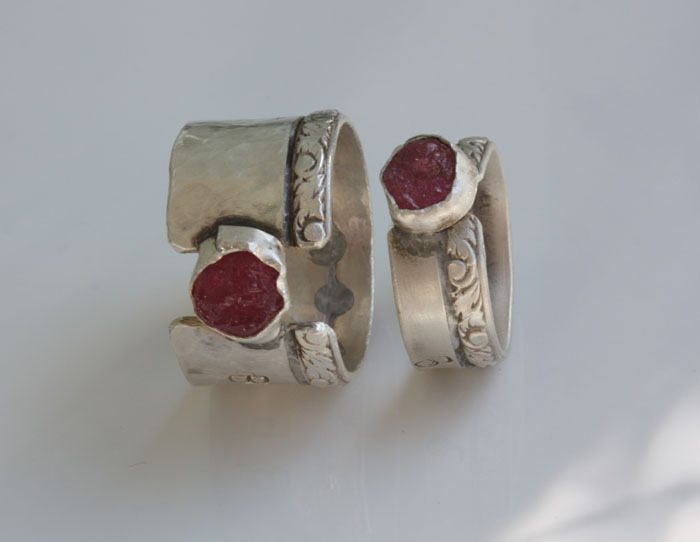 Couple’s rings, made with sterling silver, and featuring rough ruby. 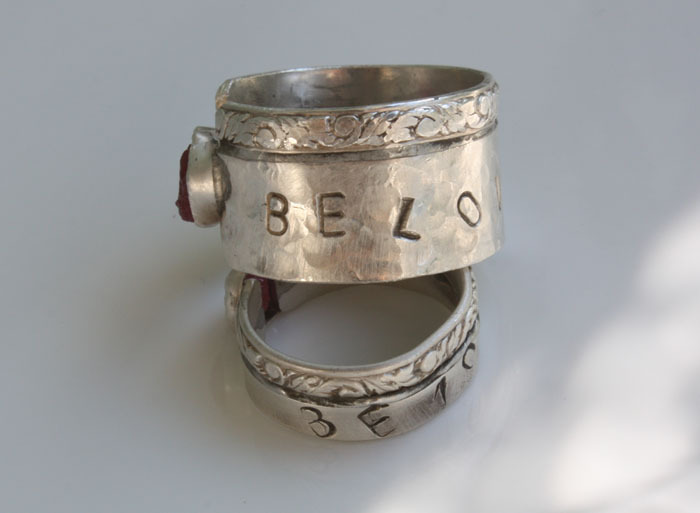 Hammered and stamped with the word “beloved”.